Nick D’Aloisio, who previously founded news summary app Summly, which he famously sold to Yahoo aged 17 for a reported $30 million, has raised funding for a new stealthy startup that promises to help you find and instantly chat to an expert on a range of topics. According to sources, Sphere Knowledge, which 21-year-old D’Aloisio co-founded as early has November 2015 alongside Tomas Halgas, has picked up significant VC backing in what looks like a combined seed and Series A round. A recent regulatory filing on Companies House values the newly issued shares at around $11.8 million, for approximately a 40 percent stake in the company, suggesting that this is the total amount the new startup has raised. Both D’Aloisio and his longtime spokesperson declined to comment. I haven’t been able to absolutely pin down who all of D’Aloisio’s backers are. However, according to sources, London VC firm Index Ventures is in the frame, having participated in both the seed and Series A. Another name that has surfaced is LocalGlobe, the early-stage VC firm founded by Robin and Saul Klein. Index and LocalGlobe have historic ties and it is not uncommon for the two firms to co-invest. LocalGlobe couldn’t be reached for comment, and an Index spokesperson told me they didn’t have anything to share. Details about how the Sphere app will work are a little thin on the ground, too, not least because an early version was pulled from the iOS App Store after I contacted D’Aloisio. I understand the team is still iterating a first version and that many aspects are subject to change before a public launch. From various documentation I’ve seen, including an earlier version of the Sphere Knowledge website now removed, the app automatically connects people asking questions with various domain experts, on subjects ranging from travel, entertainment, business to tutoring. One key difference to many Q&A type apps (including my own defunct startup) is that experts are paid per minute to answer questions in real time via the app’s chat interface. “Sphere is the first service to allow users to instantly chat with verified experts,” wrote the company. “We believe that with this immediate and interactive experience, Sphere is the easiest way to get knowledge. We offer something very different to search or Q/A engines”. The Sphere Knowledge website also said that experts are verified both manually and algorithmically to ensure they “are of a high standard”. 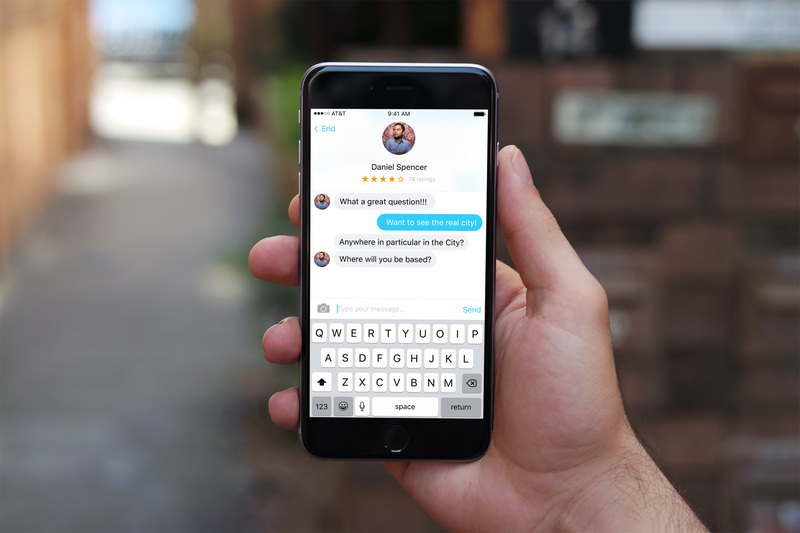 The startup plans to take a small transaction fee for each conversation. Meanwhile, after leaving Yahoo in late 2015, two and a half years after the tech company acquired Summly, D’Aloisio spent four months at Airbnb as Entrepreneur in Residence. From 2014, he has also been studying computer science and philosophy studies at Oxford University, according to his LinkedIn. Impressively, he has produced five academic papers under review at various philosophy and cognitive science journals, several of which have been published.